SCVHistory.com | Obituaries | Accidental Death of Frank M. Lyon, Age 6, Son of Sanford & Annie Lyon, 6-7-1881. 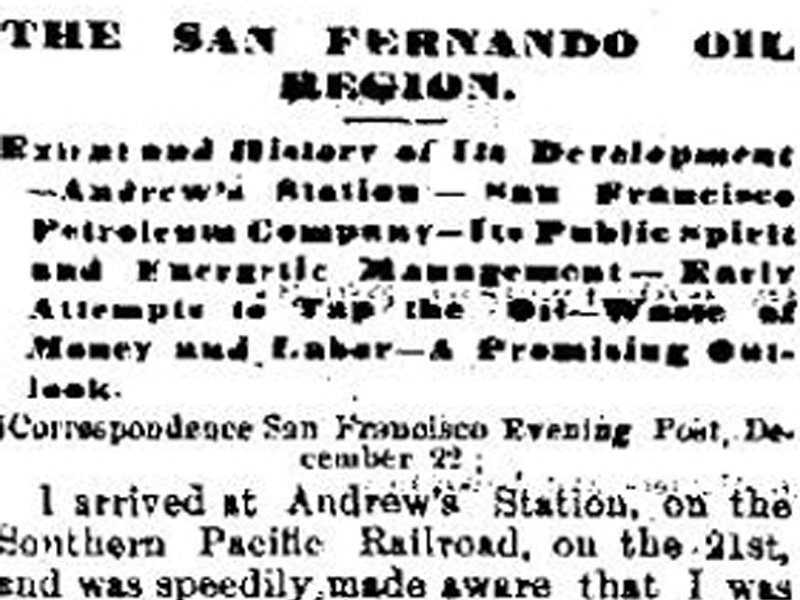 Accidental Death of Frank M. Lyon, 6-7-1881. 6-Year-Old Son of Sanford & Anna T. (Annie) Lyon. 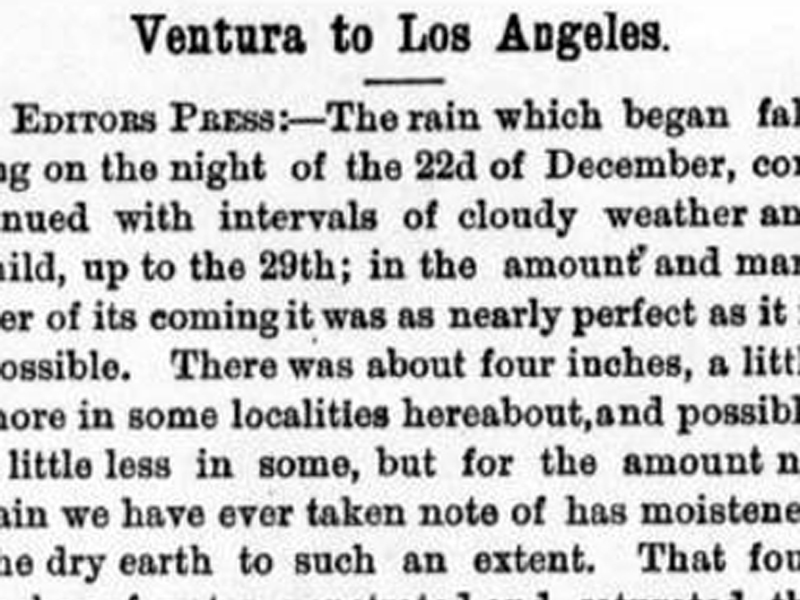 Los Angeles Herald | Wednesday, June 8, 1881. 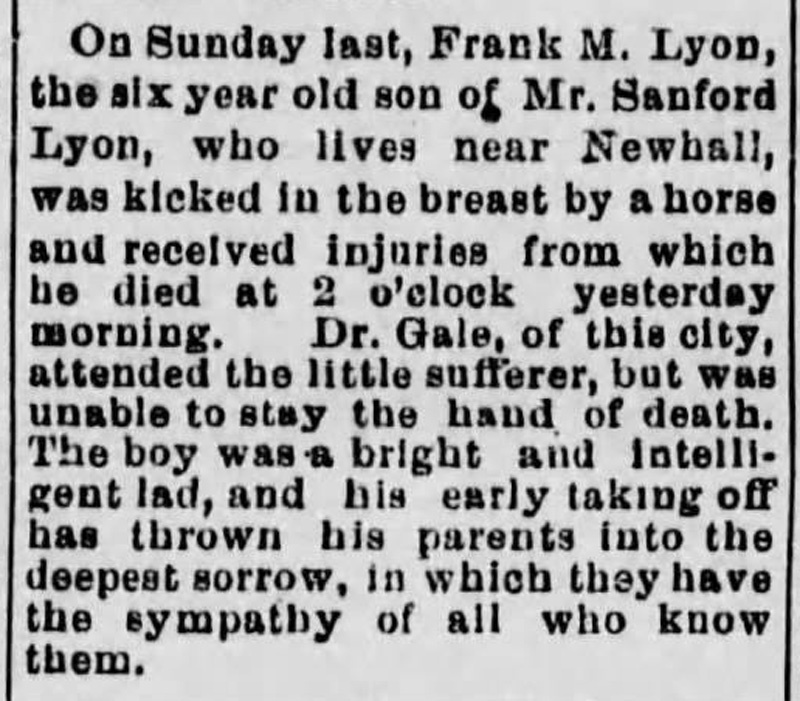 On Sunday last, Frank M. Lyon, the six-year-old son of Mr. Sanford Lyon, who lives near Newhall, was kicked in the breast by a horse and received injuries from which he died at 2 o'clock yesterday morning. Dr. Gale, of this city, attended the little sufferer, but was unable to stay the hand of death. The boy was a bright and intelligent lad, and his early taking off has thrown his parents into the deepest sorrow, in which they have the sympathy of all who know them. 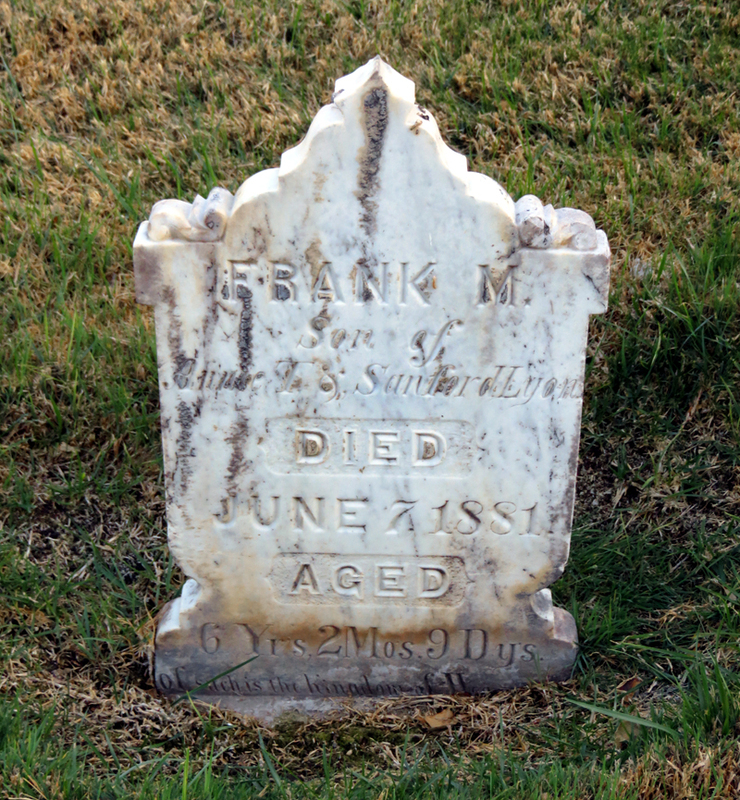 Frank M. Lyon's grave marker in the Pioneer section of Eternal Valley Cemetery. Click to enlarge. 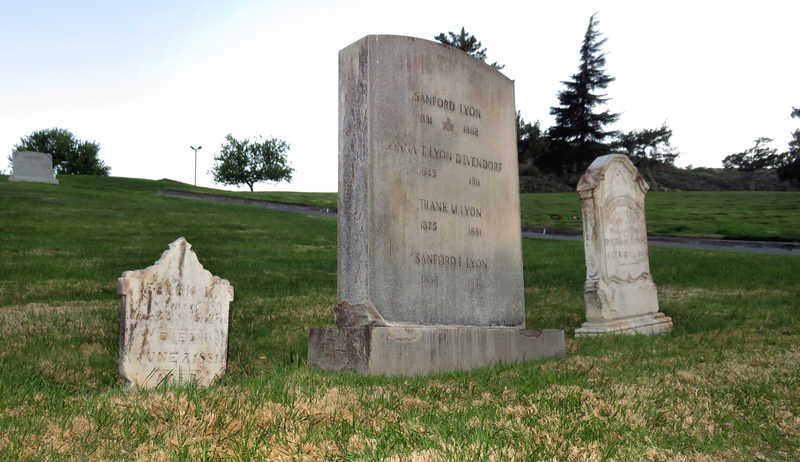 Grave marker photos: Digital images Feb. 15, 2015, by Leon Worden.